"The people who built these houses had the taste to know that they had nothing very important to say; and therefore they didn't attempt to express anything." 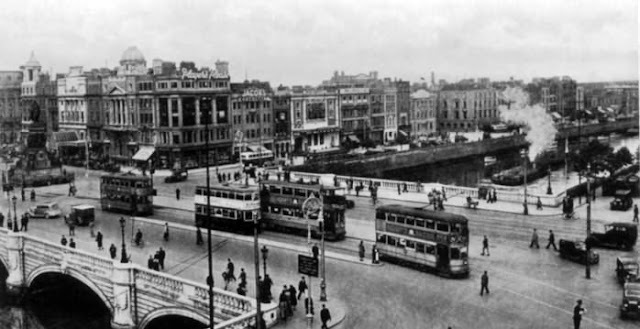 This statement was attributed to the Austrian philosopher Ludwig Wittgenstein upon viewing the streetscape of Georgian Dublin during the first of his visits to Ireland in the 1930s which was recorded on the account of his close friend Dr Con Drury's 'Recollection’. Like language architecture is difficult to define. Even though the configuration and manipulation of materials to enclose and control empty space is universal to all human cultures, architectural taste and opinion is subjective. 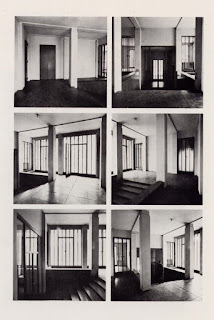 Wittgenstein’s philosophy was of a linguistic nature based on expressing oneself accurately to which he viewed architecture as a means of self-expression in the same way as the spoken word. In this one statement Wittgenstein demonstrated his lack of knowledge of Ireland’s unique colonial history and his inability to ‘read’ the language if its visual landscape. However, further on in Drury’s article, Wittgenstein would articulate the tension and consequences of the social constructionism of Irish Georgian architecture. Even though his field was philosophy, examining the status of landscape as image and symbol established common ground between practitioners from a variety of different disciplines concerned with culture: geography, history, fine art, literature and anthropology. “Now I know what was meant by the phrase ‘the Protestant Ascendancy.’ These buildings have the appearance of a fortress. But now the gypsies inhabit the castle.” In this one sentence Wittgenstein expressed his ignorance of the particular historical circumstances of this nation. Through many countries in this world were under British colonialism, Ireland’s history is a distinctly unique one. 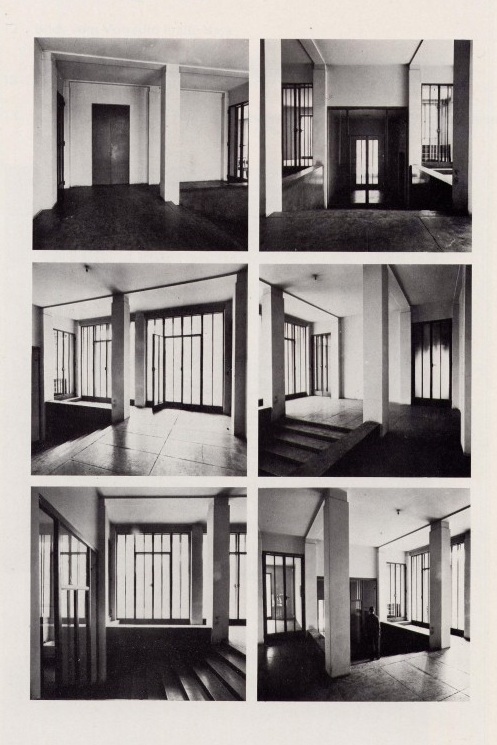 To Wittgenstein the Classical façades of the capital were symmetrical ordered expressions of nothingness. They in fact reveal the story of the architectural landscape in pre and post-independence Ireland of conquest, the constant reaffirmation of social and political status and finally its recreation and assimilation into the broader realm of Irish identity. From a semiotic point of view, the secondary meaning of these buildings, defined by Panofsky as the reading of conventional meaning of shared knowledge such as literary and visual sources, is that of the Anglo-Irish imitation of British tastes. Panofsky asserted those underlying principles which reveal the basic attitude of a nation, a period, a class, and a religious or philosophical persuasion are unconsciously qualified by one personality and condensed into one work. The systematic association of these shared design gestures is the architecture of colonisers. The title of David Lloyd’s book ‘Anomalous states’ aptly describes nineteenth century Ireland’s “crisis of representation.” There was a clear dichotomy of the Irish population into two opposed classes; the landed proprietors of Protestant ascendancy gentry; the mass of indigenous rural Catholic tenantry and later on towards the end of the century a growing, usually Catholic, middle class who were denounced by the masses for their aspirational attempts at emulating the Anglo-Irish. This crisis of identity goes back to the Plantations with the acquisition and reusage of land as well as the Anglicising of place names. This enforcement of a foreign dialect with the de-familiarization of homeland would be later depicted in Brian Friel’s play ‘Translations’ (1980) set in 1833. On acquiring these estates, the new landlords of Ireland set about landscaping surplus acreage. In tandem with building gardening was extremely fashionable throughout the eighteenth century. Mrs Delany’s garden at Delville was one of the first to embrace the naturalistic style of gardening made popular by landscape designers Lancelot ‘Capablity’ Brown. In a letter of 1744 she describes fields planted in a wild way with forest trees and with bushes that look so naturally you would not imagine it a work of art. Other examples are of Lady Louisa Connolly and her sister the Duchess of Leinster who created settings for the two great Palladian houses, Castletown and Carton in County Kildare in a typically Irish manner, more in line with Stephen Switzer’s natural wilderness as outlines in his ‘Ichnographia Rustica’ (1741) where he criticised the formality of Dutch gardening. This was a reaction to the manicured bare lawns of rolling grass vistas from the houses as an expression of control. In addition the social statement this feature was making was an indication of the wealth of the landowner in being able to afford to either pay teams of scythe-wielding Irish labourers to keep their pristine lawns in check or keep a herd of sheep to do the job. Others in a contrived obsession of geometric perfection employed hundreds of local labourers to drain natural lakes and bogs. only did the retention of an older building or ruin in the vicinity of a contrasting new building help to project a sense of progress but it can be seen as an overall analogy of the acquisition of tangible structures with evocative overtones of past grandeur, high kings, native saints and Roman Catholicism. 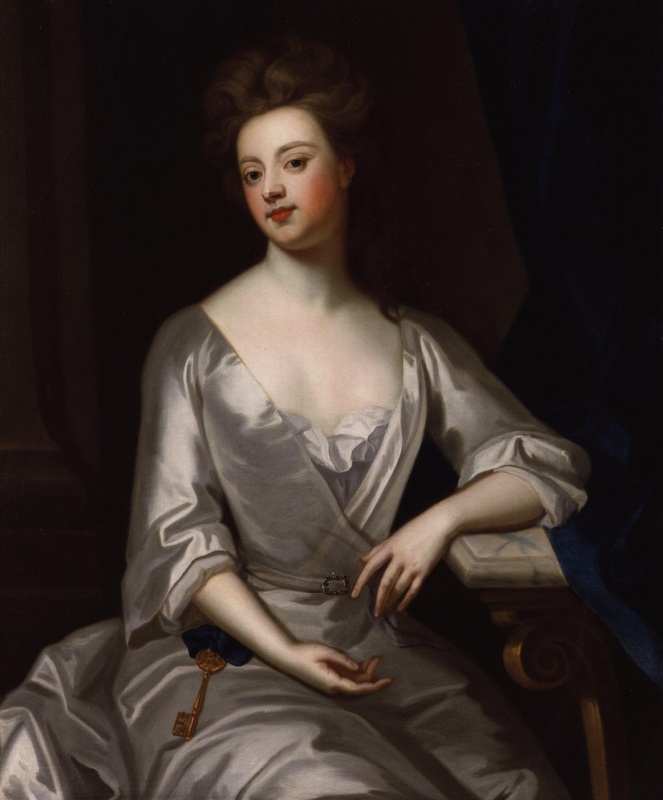 The earliest recorded proposal to use a ruined building building as a garden ornament has already been noted in Sir John Vanbrugh’s letter to the Duchess of Marlborough of 1709. In this he urges her to retain the ruined shell of Woodstock Manor as an eye-catcher to close the vista in the new park at Blenheim in addition to its picturesque qualities. Owing to the fact that this was before the fashionable taste for follies typified by Alexander Pope the Duchess demolished the ruin. When the taste for follies did become popular at times they were even faked by landscape architects. To interpret and understand landscape design in its entirety the dwelling of the landowner on the estate must also be taken into consideration. These were the 'Big House' to use the Irish vernacular. In ‘Classic Irish Houses of the Middle Size’ Maurice Craig points out that the term itself indicates more about the position of the landlord than it does about the actual size of the residence. In Post-Independence Ireland the meaning of the term “big house” has become a general expression for large and threatening institutions, particularly prisons and mental hospitals. For the Anglo-Irish novelist, the gentry house became the most compelling symbol of ascendancy ideologies and survival. Roy Foster reminds us that it can also be read as insecurity not just triumphalism that lies behind the architectural stamp of ascendancy culture on the landscape. Defensive architecture became an inspiration for landscape design such as the castellated façade of Glin Castle which was gothicised in the 1780s. These defensive motifs have the associated connotations of keeping outsiders out on the peripheries literally and socially. The fate of actual Big Houses in the twentieth century reflects the working out of such rupture and turbulence in Irish history. During the struggle for independence from 1919 to 1921 and the subsequent civil war, nearly two hundred Irish country houses were destroyed as the symbols of a colonising force, sometimes without considerations for the policies of their owners. Similarly in 1961, a few years after Elizabeth Bowen found herself unable to meet the costs of maintaining Bowen’s Court, the house dating back to 1776 was demolished by a new owner who was more interested in acquiring fertile farmland then in preserving a historic mansion that entertained such literary guests as Virginia Wolf. Even though Irish architecture was built in the same method and style as England, it is an individual story, as distinct from that of England. Christopher Hussey, editor of Country Life observed in the 1930s that Irish Architecture ‘developed along the lines that have only a general reference to English practice. This could be due to the fact that remarkably few architectural books were published in eighteenth century Ireland, and few that were are concentrated in the 1750s. 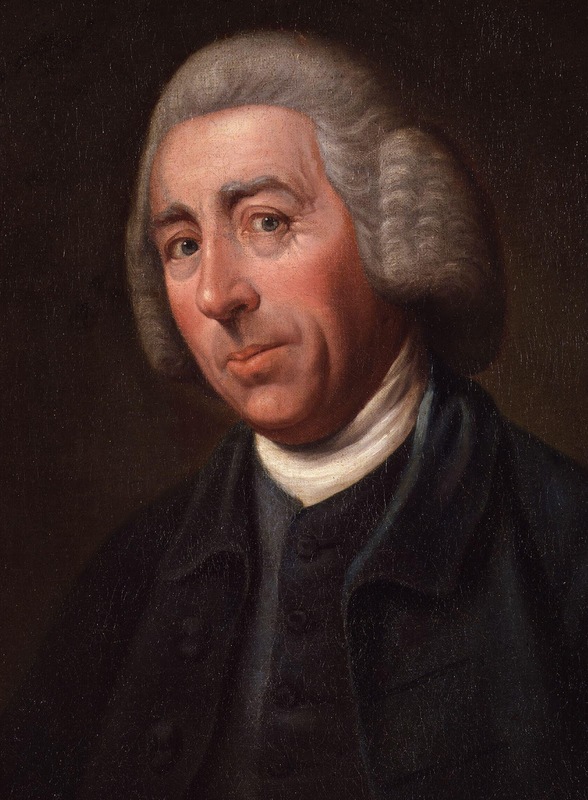 For early eighteenth century stuccodores like Michael Stapleton who have to reply on their patron’s awareness of trends in England or the slow trickle of imported English pattern books such as George Richardson, Michelangelo Pergolesi, James Gibbs, Isaac Ware and William Adam provided most of the vocabulary of the practitioners. Curiously patrons after 1800 did not make these decorative decisions but in fact this aesthetic expressive was left up to the whims of the builder. However when patrons did make such décor statements they did not slavishly imitate their Continental contemporaries. They generally stuck to the Palladian style in a reaction to the Baroque style prominent in mainland Europe. The most outstanding characteristic of the Irish house was the ‘largeness of scale.’ For Hussey this peculiarly Irish phenomenon was due to a series of causes, including the cheapness of labour. Funny that Wittgenstein should have been making his statement in the 1930s when other were discussing how Ireland contributed so much to Georgian architecture such as the discovery of the Castletown drawings by Edward Lovett Pearce who was not given significant attention except for an article in the Irish Builder in 1931. Misguided perspectives of our colonial past and the gathering bitterness of a looming Easter Rising anniversary led to the demolition of sixteen Georgian buildings in the 1960s on Fitzwilliam Street to make way for the ESB Headquarters (1970) designed by Gibney Stephenson & Associates. It was once the longest expanse of intact Georgian architecture anywhere in the world. The Georgian vista that existed until then consisted of almost a mile of continuous houses passing through two squares. Drury no doubt brought this street to the attention of the critical Wittgenstein. They have since tried to undo the wrongs of the past by restoring Number Twenty Nine as a reproduction of life in eighteenth century Dublin. The look of the building can be imitated but alas not the genius loci. Another example of the tension of the loom 1916 anniversary was the destruction of the very unpopular Nelson Pillar by the IRA on the 8 March 1966. Those ultra Republicans who chose to take out their frustrations on the big houses were selective in their task. They ignored such houses as Avondale, the 523 acre estate situated at the southern end of the Avonmore Valley in Rathdrum, County Wicklow where Charles Stewart Parnell was born and lived all his life.The celebrated ‘uncrowned king’ of Ireland was a landowner himself. The house originally designed by James Wyatt and completed in 1777. It was handed over to the state in 1904 with repairs carried out in 1935. It is now the Forestry School run by Coillte. 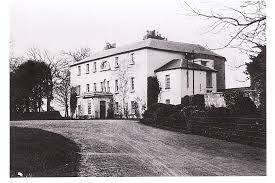 Conversely Patrick Pearse moved his school St Enda’s from Ranelagh to the Hermitage, an eighteenth century house in Rathfarnham surrounded by park and woodland haemorrhaging money since the day it opened. 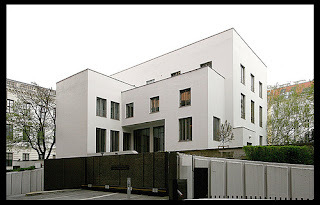 Looking at Wittgenstein’s one and only completed design it is no surprise that the Georgian paradigm ‘had nothing very important to say.’ Stonborough House 1926-1928 is a tangible expression of his philosophical theories in ‘Tractatus Logio-Philosophicus’ (1921). It is a white cube, absent of all ornamentation, polished concrete floors and curtainless windows. His influences by his friend Adolf Loos who once did a paper called ‘Ornament and Crime’ are evident. Wittgenstein was reading Freud at the time who argued that unconscious forces seethed below a purportedly ordered and elegant society so this could also account for Wittgenstien’s abhorrence of decoration. This is a stark contrast to the finishes and furnishings of Georgian dwellings. In the post-colonial nostalgia to recreate what Ireland supposedly was like before the Plantations, De Valera announced the start of Ireland’s cultural exclusiveness with the naming of Catholicism and Irish was the first religion and language of the country in the 1937 Constitution. The once dubbed Land of Saints and Scholars which attracted scholars from all over Europe in the quest for knowledge and learning now proclaimed its policy of self-induced isolation. This ironically made Fianna Fail as guilty as the ascendency of sectarianism; of favouring one set of value systems over another. Therefore it is important that the current generation fully embraces all aspects of our architectural past by investigating the negatives and positives of the Georgian ideologies as expressed in their environment. The landscape is a legacy of past economic and social order and it produces meanings which vary over time as different ‘readings’ or constructions are put on it. 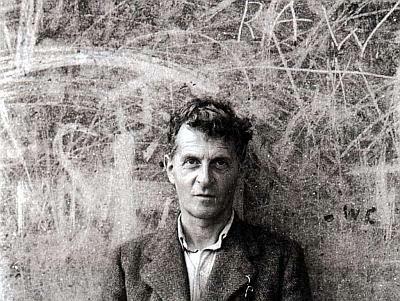 For Wittgenstein philosophical problems have their beginnings in the feeling of being lost and in an unfamiliar place and philosophical answers are in the nature of finding one’s way back. This image of turning back, of finding not as moving forward towards a gal but as being led back, is pervasive in his later writings and that is what Ireland has to do to fully appreciate her Georgian landscape. D. Llpyd, (1993) ‘Anomalous states; Irish writing and the post-colonial moment’, US: Duke Uni. Press. Today trees are protected in Ireland by the Forestry Acts of 1928 and 1946. R. Foster (1988) ‘Modern Ireland 1600-1972’, London: Penguin Books. F.McDonald (2009) ‘ESB competition for world-class redesign of HQ’, Irish Times, April 20. The name Avondale appears for the first time in 1777 in Taylor and Skinners maps of the Roads of Ireland. S. Jeffries (2002) ‘A dwelling for the gods’, The Guardian, January 5.